LET THE STEAMFUNK WASH OVER YOU: The Rite of Passage Money Wave! 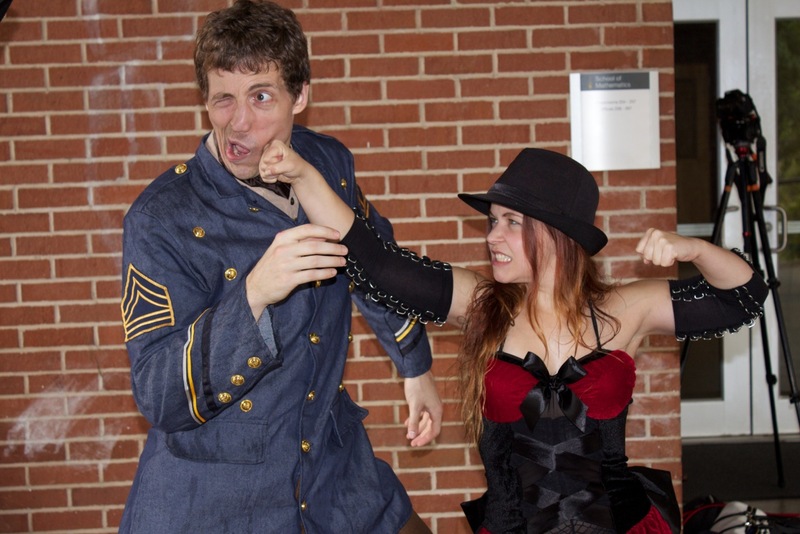 Greetings Friends, Fans, Family, Steampunks and Steamfunkateers! 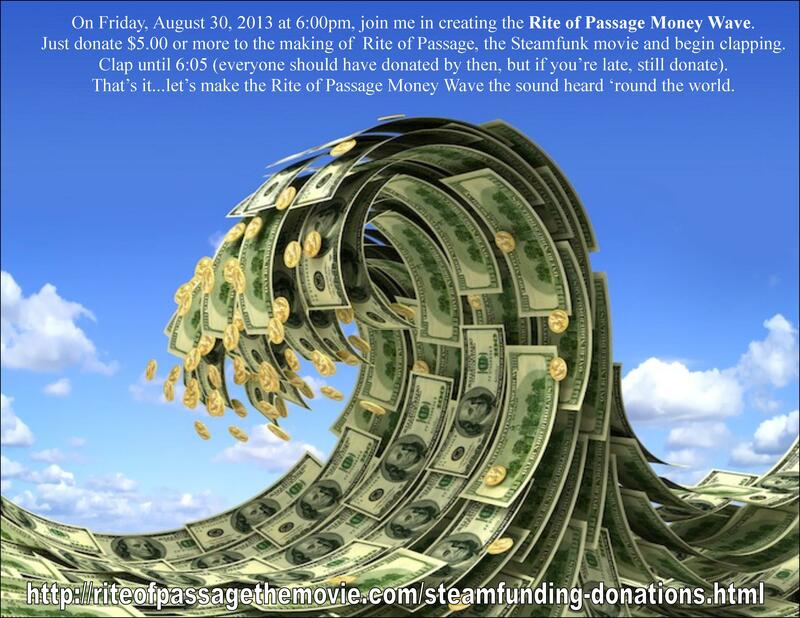 Today, August 30, 2013, at 6:00pm, join me in creating the Rite of Passage Money Wave. Just donate $5.00 or more to the making of Rite of Passage, the Steamfunk movie and begin clapping. Clap until 6:05 (everyone should have donated by then, but if you’re late, still donate). That’s it…let’s make the Rite of Passage Money Wave the sound heard ‘round the world! 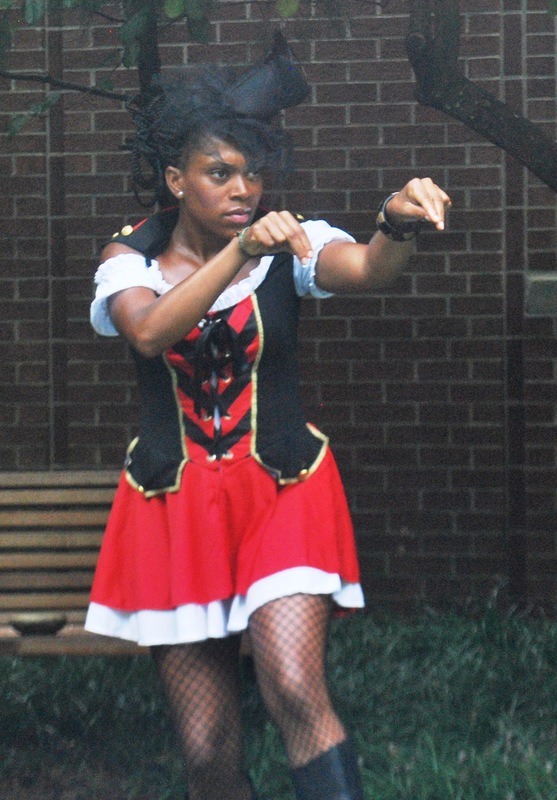 Posted by Balogun on August 30, 2013 in Afrofuturism, Steamfunk, Steampunk and tagged rite of passage, steamfunk, steampunk.